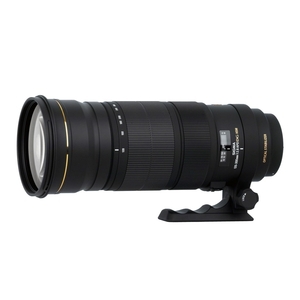 Sigma 120-300mm f2.8 DG OS HSM | S Lens - Canon Fit. The Sigma 120-300 F2.8 DG HSM OS is the first lens introduced into the Sports category for Sigma’s Global Vision. Designed for full frame cameras but can work with APS-C sized sensors as well, the 120-300 F2.8 has a large aperture and versatile focal length, ideal for a wide range of photography. Though placed in the Sports category, the 120-300 F2.8 is also great for nature, automotive, wildlife, and everything in between. Equipped with state of the art technology such as a Hyper Sonic Motor (HSM), an Optical Stabilizer (OS) and Inner Focusing and Zooming, the 120-300 F2.8 ensures sharp and beautiful images. The HSM allows for a quiet, fast, and accurate autofocusing while the OS compensates for camera shake while shooting by hand. Two FLD glass elements, which have performance equal to fluorite, are incorporated with one SLD element to reduce color aberration at the highest degree. The Sports category offers not only a higher level of customization through the Sigma USB dock*, but also has a dust and splash proof design.